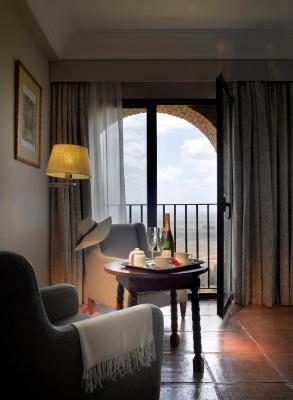 Lock in a great price for Parador de Carmona – rated 8.8 by recent guests! bearkfasts were ok but the kitchen was amateur hour for dinner two mediocre to bad meals and no place else to go! 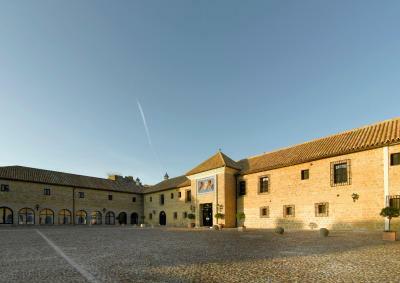 The converted castle hotel sits on a ridge with a view of the surrounding countryside. 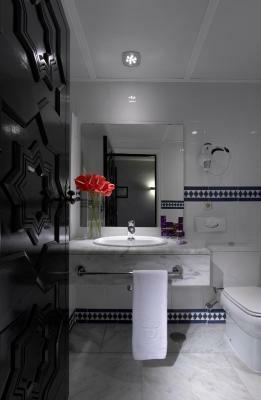 The building interior is Moorish in design with large rooms and cozy beds. The city itself has multiple attractions and is easily walkable. 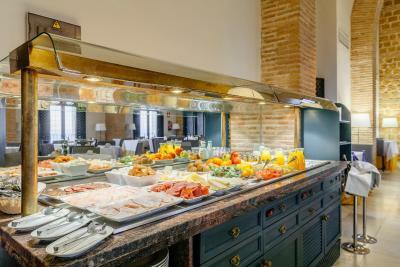 We had bar tapas and breakfast at the hotel, and both were excellent. 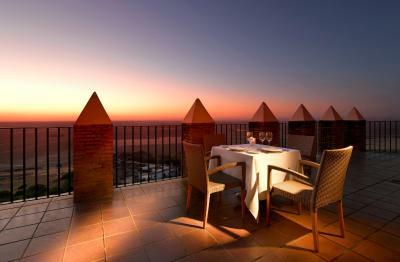 Ask for a fourth floor room with a terrace for an exceptional view and area to relax. 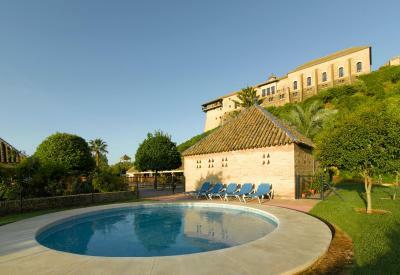 The property sits on a hill overlooking the vast central plains of Andalucía. 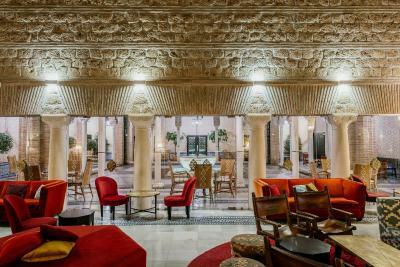 There is a lovely terrace on the lobby level, where we enjoyed cafe and tea. 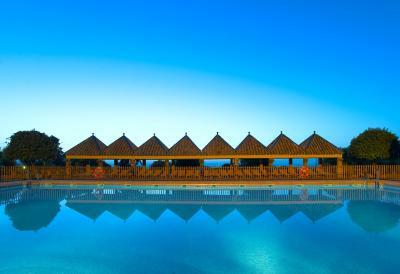 The pool, though closed at this time of year, looked inviting. 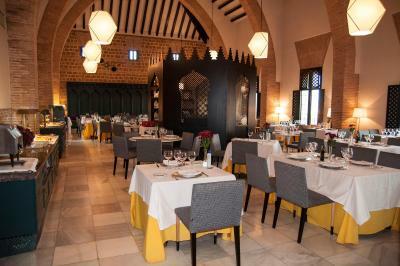 There were several very nice restaurants within easy walking distance of the Parador (we liked La Yedra and Molina de la Romera). 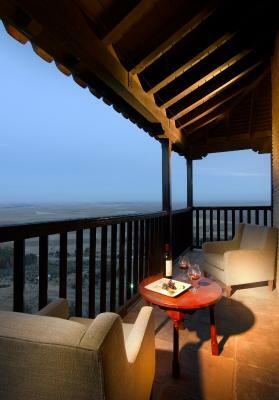 We liked the balcony with the view of the plains and the food and wine served on the balcony was good. It was a relaxing break from traveling and sightseeing. 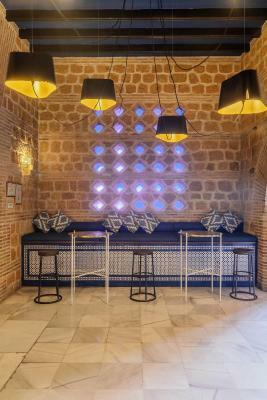 Additionally, I liked the internal patio which was also a calm environment to relax. 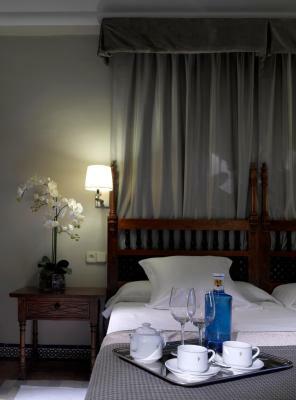 Fabulous sheets & very comfortable bed. Spectacular view! Loved location. Wish we could have stayed longer to enjoy pool. 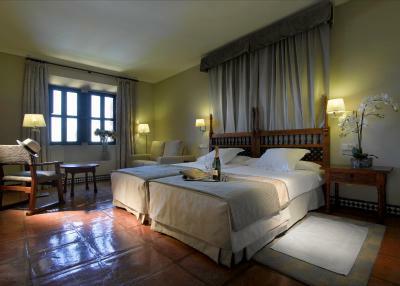 Magnificent location, wonderfully restored building and comfortable. We loved the life and cultural aspect of the old town. 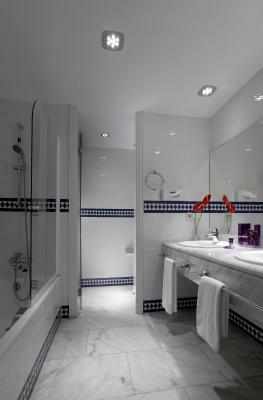 The property was charming, quiet, and welcoming with friendly staff! It truly was a delightful stop!! 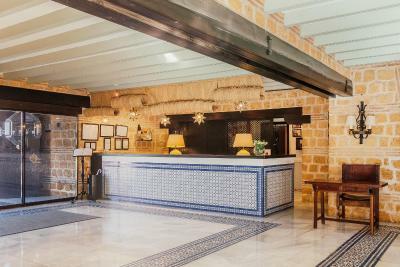 Parador de Carmona This rating is a reflection of how the property compares to the industry standard when it comes to price, facilities and services available. It's based on a self-evaluation by the property. Use this rating to help choose your stay! 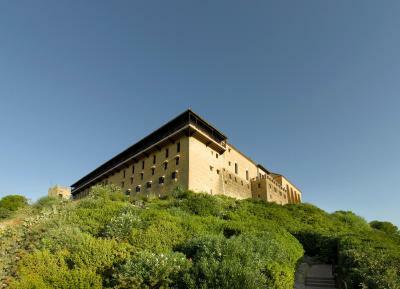 Once a 14th-century Moorish fortress, this Parador Hotel offers spectacular views over the countryside and the Corbones River. 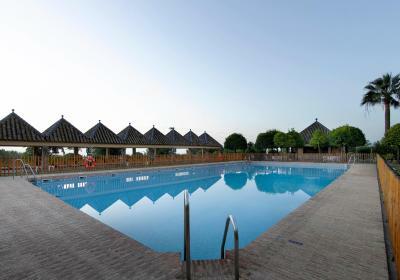 Enjoy these from the seasonal pool and dine in the elegant restaurant. 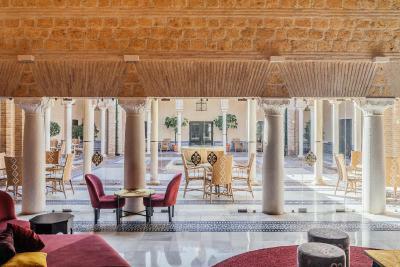 A wonderful example of Moorish architecture, the Parador de Carmona features fabulous design details including a stunning central courtyard, vaulted ceilings, original stonework and spacious terraces. 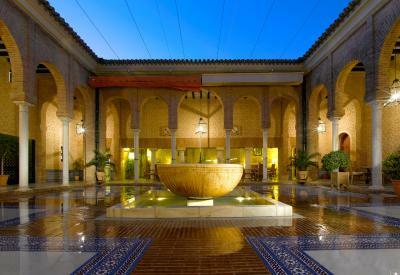 Admire the Mudéjar fountain, take a stroll through the pretty gardens and enjoy a quiet read or sit down under the arched galleries. 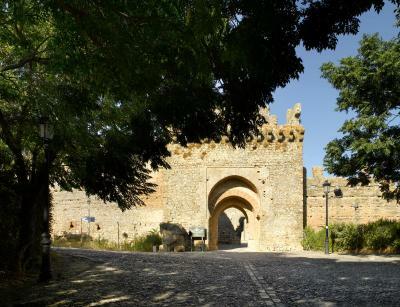 Transport yourself back in time and imagine the fortress history through battles and different civilizations that have shaped this region of Spain. 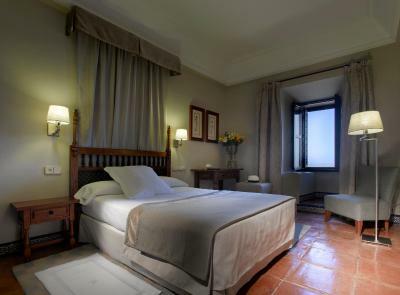 The large bright bedrooms of the Turismo de Carmona enjoy exquisite classic décor which, alongside the Sevillian tiling, enhance the 14th-century citadels original features. 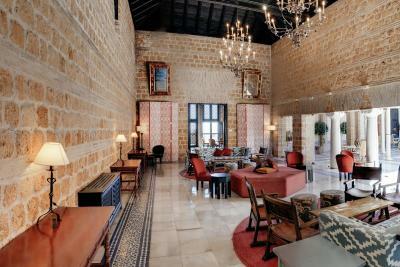 Spaces are filled with tapestries and antique furniture which is completely in harmony with the buildings history. 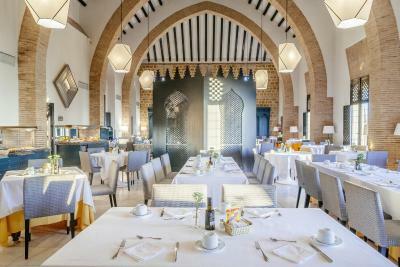 The Turismo de Carmona's dining room is known as one of Paradores most beautiful, serving seasonal and local dishes, with the partridge and Carmona spicy spinach dishes as specialties. 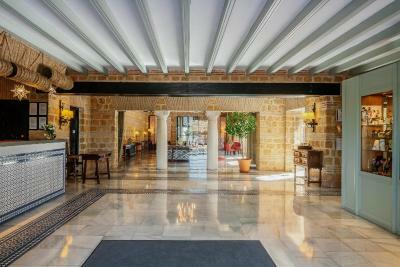 When would you like to stay at Parador de Carmona? 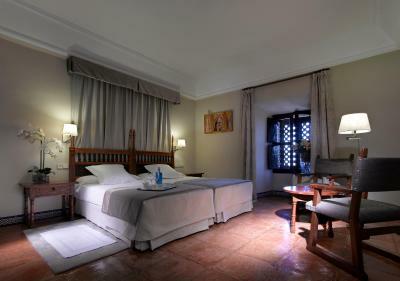 This bright, spacious room has attractive décor, satellite TV and free Wi-Fi. 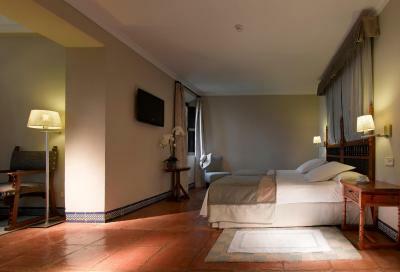 This air-conditioned twin room features a mini-bar and a furnished terrace with country views. 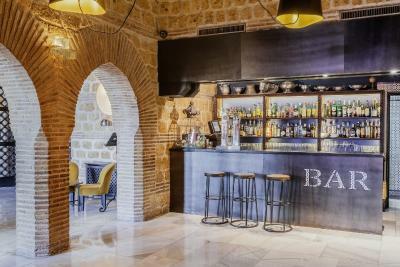 House Rules Parador de Carmona takes special requests – add in the next step! 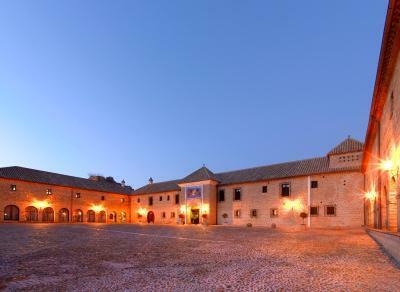 Parador de Carmona accepts these cards and reserves the right to temporarily hold an amount prior to arrival. Great country location between Seville and Córdoba. Great views over the countryside. Pleasant and efficient staff. The view from our room was stunning. The history and architecture of the building. Beautiful little courtyard in the centre to sit and relax with a glass if wine. 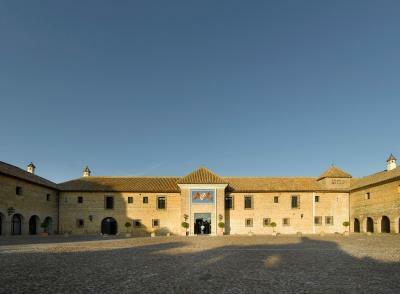 The Parador is a wonderful building on a superb location. 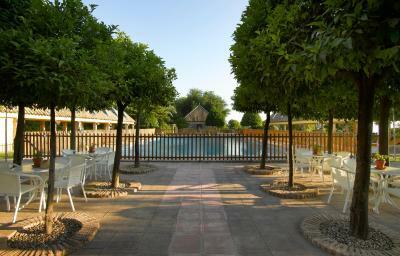 Beautiful hotel with lovely open spaces to sit in and enjoy the views. 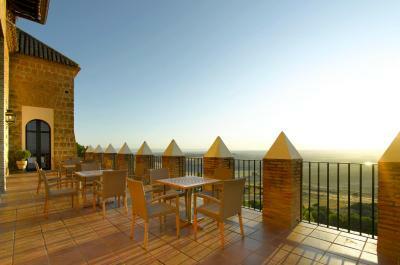 A large, traditional paradore at the top of the old town, with extensive views over the plain. 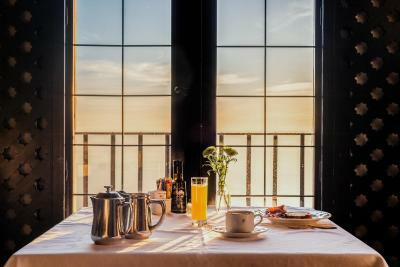 Try to get a room with a balcony, sunset and sunrise are wonderfully atmospheric. 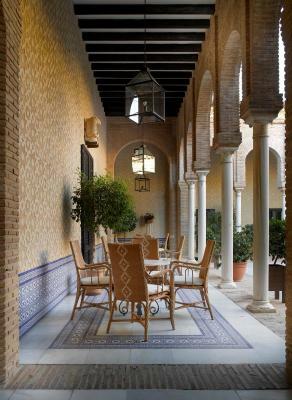 Interior is spacious and light, try coffee in the Moorish courtyard. Added bonus is the town of Carmona - it has a real vibrancy, but also lots of quiet squares in which to sit and relax and watch the world go by (and storks nesting on the church spires). 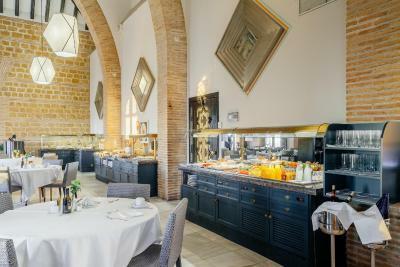 The location and views from the parador are worth booking here alone, but beyond that the interiors, simple but elegant rooms, friendly service and stunning food were incredible. 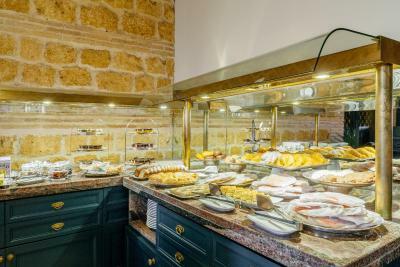 Probably the best buffet breakfast I've ever had, with pastries to die for. 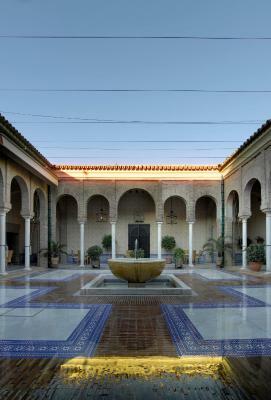 Carmona itself is both beautiful and interesting and a great stop on our journey between Seville and Cordoba. We stayed at the weekend and there was a lot of daytime traffic of non-resident visitors coming for coffee or just to look out from the terrace, it was all a bit busy, but it quietened down in the evening. 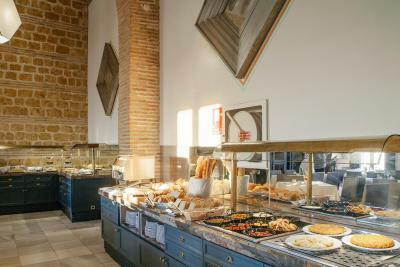 We booked dinner, which was good value for money but not as good as places we had eaten in Seville. 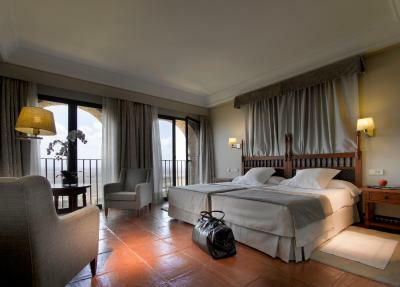 The location is spectacular and the arrangement of rooms gives everyone an amazing view of the plain. 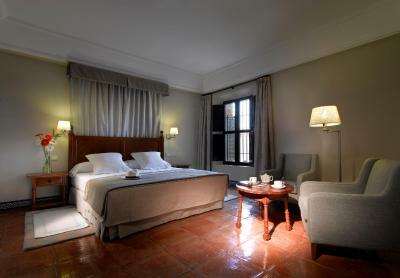 the hotel itself is a wonderful combination of historic building and comfortable modern hotel. 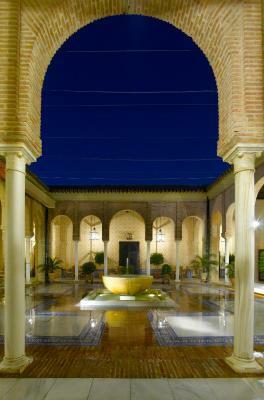 It has a beautiful dining room, comfortable lounge and stunning internal courtyard. 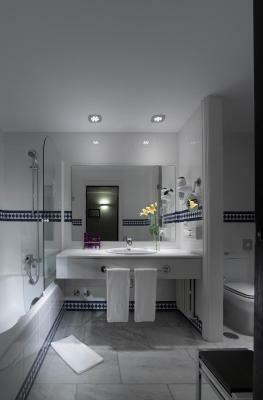 A great place for a romantic break. The closet door was hard to slide. Everything else was great. Food in the evening was poor but lunch was excellent?? ?